A sliding glass door or patio door, is a type of sliding door in architecture and construction, is a Sliding glass door frames are often made from wood, aluminum, stainless steel, or steel. Replacement parts are most commonly needed for the moving-sliding parts of the door, such as the steel rollers that glide within the track. 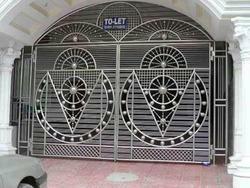 We are offering Security Gate to our client. 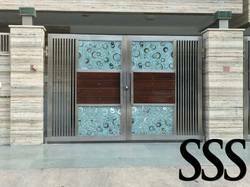 With the valuable assistance of skilled team of professionals, we are engaged in offering an extensive range of high-quality Stainless Steel Safety Gate.